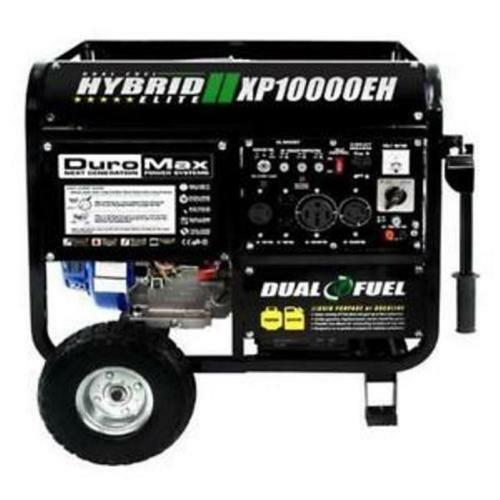 The DuroMax XP10000EH 10,000 Watt Generator features a fully loaded Power Panel that is the main control center for the Generator. 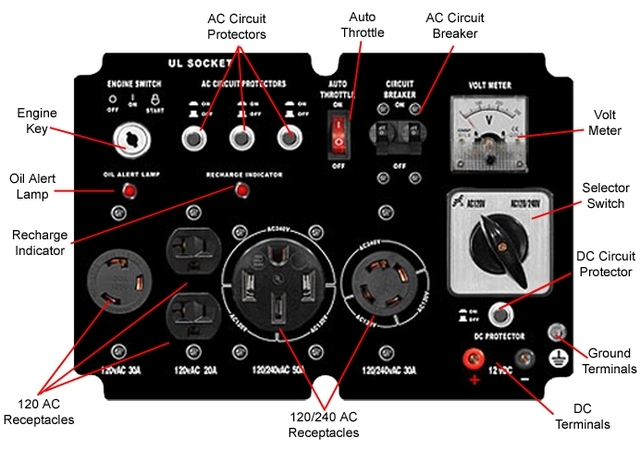 On the Power Panel you can find the RV Switch, Idle Control, Keyed Electric Start, Engine Shutoff Switch, Volt Meter, and Circuit Breakers. 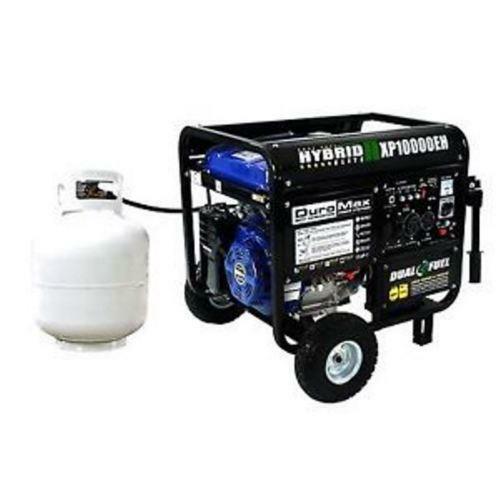 These units are EPA and CARB approved, and are also safe to use in U.S. National Parks thanks to the quiet exhaust with spark arrestor. 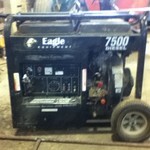 Max AC Output: 10,000 watts. 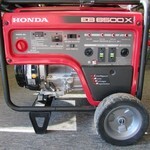 Rated AC Output: 8,000 watts. Fuel Tank Capacity: 8.3 gallon. 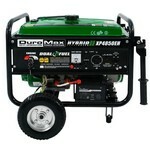 18 HP air cooled DuroMax OHV engine. Low oil Indicator lamp & shutoff. EPA & CARB approved engine. Super quiet exhaust w/ built-in spark arrestor. Electric Key and EZ-Pull Recoil start. Run-Time [ @ 50% Maximum Output ]: 10.0 hrs. EPA & CARB Approved For Safe Use In National Parks. The sound level is 72 dBA while running a load and drops down to 45 dBA while idle control is engaged. (2) 120v 20 Amp 3-Prong Outlets (Standard Household plug). (1) 120v 30 Amp Twist Lock (NEMA L5-30 2 Pole 3 Wire). (1) 120v/240v 30 Amp Twist Lock (NEMA L14-30 3 Pole 4 Wire). 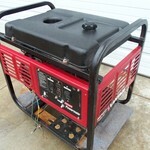 (1) 120v/240v 50 Amp Heavy Duty Outlet (NEMA 14-50 3 Pole 4 Wire). (1) 10A 12V utility connection for charging a battery or running 12V devices.